Fat reduction in specific areas of the body can be achieved through traditional liposuction cosmetic surgery. It is a widely popular treatment to enhance body contours and gain a slimmer, more even overall appearance. However, some patients may be reluctant to choose an invasive surgery such as liposuction. In such cases, the cosmetic surgeon may offer the option of relatively less invasive liposuction techniques such as Smart Lipo. 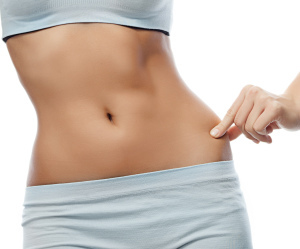 Smart Lipo involves the use of laser or ultrasound based technologies to generate heat energy that can liquefy the stubborn fat cells and assist their removal from the body in a less aggressive manner. Dr. Brian J. Parker is a leading plastic surgeon providing body contouring as well as other surgical and non-surgical procedures to patients in Las Vegas and surrounding areas. Traditional liposuction and Smart Lipo can be differentiated from each other in certain key areas. Traditional liposuction surgery usually involves the use of general anesthesia, which is more complex, has a recovery period, and requires the attention of an anesthesiologist. Smart Lipo, on the other hand, is mostly performed with the patient under local anesthesia. The patient is generally awake during the procedure. The size of incisions in case of traditional liposuction is relatively larger. As a result, the scarring is also greater eventually. However, a skilled surgeon will strive to keep the scars inconspicuous. Smart Lipo will involve relatively smaller sized incisions, and the resulting scars will also be minor in nature. Traditional liposuction is a strictly fat reduction procedure, and there is no skin tightening involved. Therefore, in some cases, the patient may be left with loose, sagging skin in the area where the fat has been removed. This will require another skin tightening procedure. In the case of laser or ultrasound assisted Smart Lipo surgery, the heat generated through the process also helps to tighten and firm up the skin to some extent. Ripples or ridges underneath the skin may be formed in some cases with traditional liposuction plastic surgery. This may happen because large cannulas are used to dislodge the stubborn fat cells from the deeper layers of the skin. On the other hand, in case of Smart Lipo, the size of the cannulas is smaller. Furthermore, the heat energy melts the fat and turns it into liquid state, which allows for smoother suctioning out of the excess fat without damaging the skin. Traditional liposuction surgery will involve a recovery period of about a week to 10 days in most cases. The downtime in case of Smart Lipo is significantly reduced, and most patients may be ready to resume their regular activities in about three to four days after the procedure. Bruising and swelling is minimal in case of Smart Lipo, but more significant with traditional liposuction, requiring a longer time to subside. In traditional liposuction, the recovery may also be more painful, and requiring more time for the incision sites to heal. A compression garment may have to be worn for at least six weeks. In case of Smart Lipo, the compression garment may only be needed for two to three weeks. Dr. Parker receives patients from Las Vegas and surrounding locations for body contouring procedures.